The new Audi A6 ranks on top in luxury large cars rankings. Our review is based on different published reviews of Audi A6. Audi A6 is one of our favourite luxury cars. It is the pure blend of luxury and sports sedan. 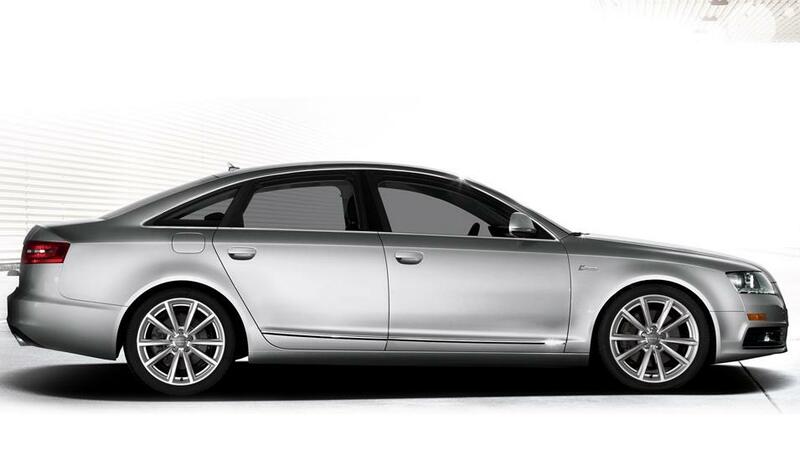 Audi A6 combines finest interiors and exceptional performance offered in only few luxury cars. However, Audi A6 is behind the Mercedes-Benz E Class and BMW 5 Series in terms of sales, but you must try this attractive vehicle. Audi A6 offers finest interiors in low price as compare to its competitors, but Mercedes has cut the price significantly on their new Mercedes-Benz E Class. Audi A6 is a good performing car and there are no complaints from the reviewers. There is not much change in 2010 model because A6 received design refresh in 2009, but a lot more is expected in 2011. There is an optional Quattro All Wheel Drive System, which attracts many reviewers. The Quattro system makes it handle as same as BMW 5 Series and without Quattro it doesn’t handle well. 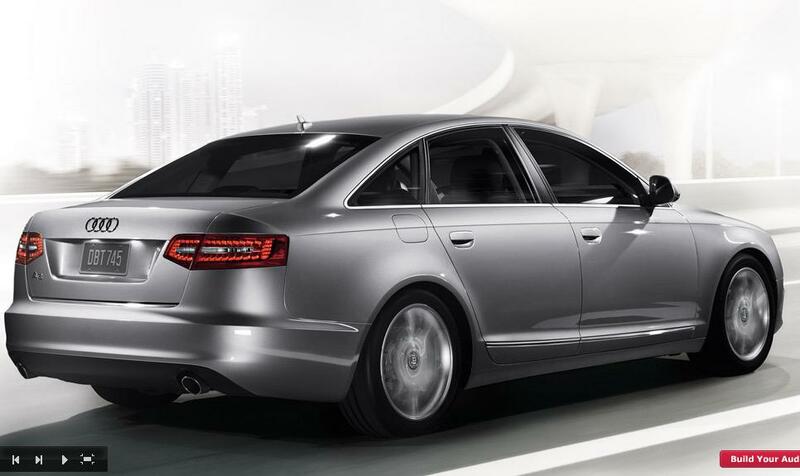 A6 has an advantage over it rivals with its well designed passenger cabin. If you are planning to buy Audi A6, we recommend buying an optional AWD system, which makes a dramatic difference in the car’s performance. The Audi A6 comes in three different trims, the 3.0, 3.2 and 4.2 trim. Each one is named for its engine. The Quattro All Wheel Drive System is optional on 3.2 and standard on 4.2 and 3.0 supercharged models. Reviewers are impressed by the available 3.0 liter supercharged V6 engine, which offers smooth power and accelerates like a V8. The fuel economy is also good considering the power and performance of the car. The major rivals are BMW 5 series and Mercedes Benz E Class. If you are an Audi lover, then you will love A6 even more. If you are looking for an alternative, then there is Audi A4. It’s like a sibling and shares almost the same design philosophy. The Audi A6 is a car, which offers performance and exceptional drive. Without the Quattro system, it is a good competitive luxury sedan, but with other trims A6 stands out in the luxury cars list. Reviewers say that the handling is average without the Quattro. The Quattro system adds more advantage to Audi A6. It grips the road with authority, only few other cars offer in its class. The A6 comes with 3.1 liter V6 Engine, which makes 255 horsepower. The other 4.2 models have 4.2 liter V8 engine, which makes 350 horsepower. The supercharged model offers an awesome performance like a V8 with a fuel economy of V6. It comes with 3.0 liter supercharged, which makes 300 horsepower. The V6 is a good option for every buyer, but if you are looking for sporty performance, then consider the V8 and V6 supercharged models. The 3.2 front wheel drive model uses a continuously variable transmission, while all other models come with six speed automatic transmission. Audi says that 80 percent of the buyers buy the Audi with Quattro. Without Quattro, it is an average car, but with this system, it stands besides German cars. While everybody desires high-class materials and great craftsmanship at this cost, the Audi cabin of the A6 stands apart actually amongst large luxurious vehicles. Just the remodeled Mercedes-Benz E-Class comes near. Testers say the A6’s interior is incredibly well-thought-out, with comfy seating and soft-touch components. It features a modern visual appeal that models it aside from more old-world high end cars. Nonetheless, a few discover Audi’s gadgets user interface complicated. The seats of the 2010 A6 are more comfortable at all five positions, with especially flexible and well-bolstered front seating receiving very much compliments from testers. The A6’s cabin is made of high quality components, with exceptional match and finish. Places that Audi appears to generate more compliments than even its luxury opposition. Several reviewers discuss Audi’s MMI program; a driver user interface that handles all environment and entertainment features by using an individual system. It is not as hard to understand as BMW’s iDrive, however it still does not gain many enthusiasts. The A6 comes with a 15.9 cubic-foot trunk area; relatively huge for this class of vehicle, however bested by a couple of rivals. A number of reviewers point out interior storage space bins are extremely few and too smaller. The new Audi A6 is not crash tested, but it is named “Top Safety Pick” in luxury large cars. It also receives the highest safety ratings. The Audi A6 offers standard Electronic Stability Control in side impact test. Audi’s Electronic Stabilization Program looks after every tire for slip and can employ brakes on an individual tire to support reduce or correct a skid. There are front sides, side head curtain airbags as standard equipment. 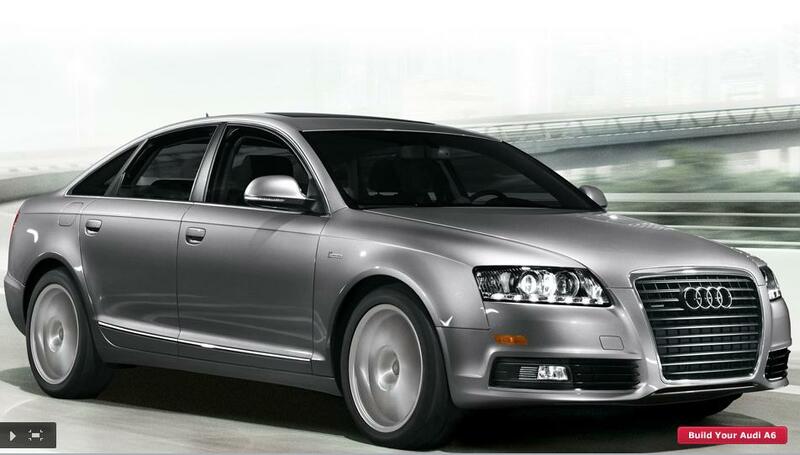 A6 comes with four year or 50,000 miles basic warranty and there is also four year or 50,000 miles power train warranty.